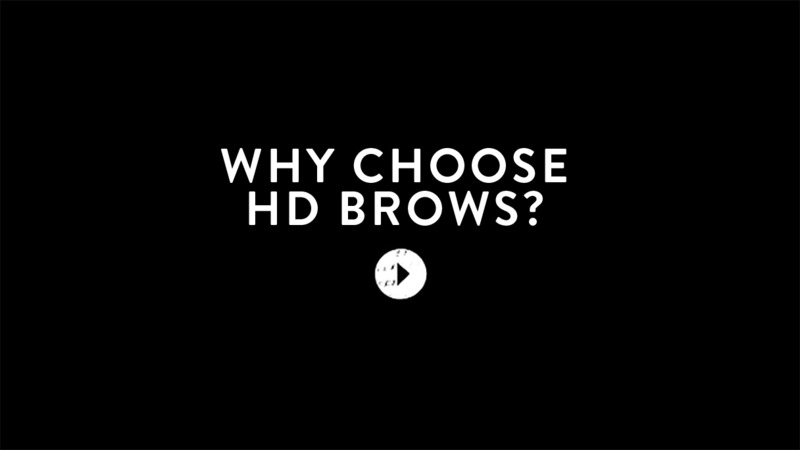 HD Brows is a bespoke eyebrow treatment that is totally tailored to you – not a brow stencil in sight. It’s so much more than a standard eyebrow tint and wax; our expertly trained stylists combine our unique design formula with custom-blended colour, hair removal and make up application for brows that suit you. Our stylists work with you to create your perfect look, whether your wish to tame bushy brows or regrow overplucked eyebrows. It’s as simple as this..
We differ to many other treatments as we don’t believe in a one shape fits all ethos. Brows are as individual as fingerprints and so each step of the HD Brows treatment is completely bespoke from the personal consultation, shape design, tailoring and aftercare process. From brushed up brows to neat and defined, choosing the right brow look can be difficult. That’s why every HD Brows treatment starts with a consultation where our Stylists help you based on your face shape, skin tone and of course, your style. Finally your brows will be perfected using our make up collection along with a mini make up lesson to help you maintain and make the most of your brows between appointments. WHAT’S A HD BROWS REGROWTH PROGRAMME? The perfect brows might for some just be one treatment away, however those with sparse or over-plucked brows may need to be put on a regrowth programme. Our Stylists will educate you on the areas needed to grow in so the shape can be improved at each appointment. You’ll also be educated on the best HD make up to use on any gaps in your brows until your dream brow shape has been created. How long do HD Brows last? The effects of the treatment usually last around 4-6 weeks, however this can vary depending on your hair growth. After your first few treatments your stylist will be able to recommend how often you should be having the treatment done. How much are HD Brows? Prices start at £25 and vary depending on the salon you visit and the skill level of your stylist. Contact your local HD Brows stylist directly to discover what price they charge. You can find your local HD Brows stylist here. I have sparse or overplucked brows; can I still get HD Brows? Our stylists work with you on a regrowth programme to achieve the perfect brow shape. In the meantime, you can fake it with make up application, demonstrated by your stylist. Use our Lash & Brow Booster to encourage hair growth. Where can I get HD Brows? There are trained stylists across the UK, so you’re never far from a HD Brows salon. Simply visit our salon finder, enter your postcode and we will show you all the HD Brows stylists in your area – it’s as easy as that. How do I train in HD Brows? You can attend our official HD Brows training academies in Leeds, Milton Keynes, Glasgow, London, Bristol, Liverpool & Birmingham. You can find out more about training in HD Brows here. How long does HD Brows take? The HD Brows treatment usually takes around 45 minutes, but we would suggest allowing an hour for the treatment. In a rush? Visit your local HD Brows master stylist for an express treatment which takes just 15 minutes. What’s the difference between HD Brows & Microblading? HD Brows uses various hair removal techniques to create your desired brow shape. Microblading is a semi-permanent technique that sits under the tattooing family, lasting around 1-3 years and starts at approx £500. Discover more about the difference here. The treatment is not classed as semi-permanent, however we do use permanent tint on the brows during the treatment. The lasting effects of this vary depending on skin type, hair growth and skin care routine. Results of the HD Brows treatment typically last around 4-6 weeks. How old do I need to be to get HD Brows? Due to EU law, you can’t have your brows tinted under the age of 16. Don’t worry, you can still have the treatment done from the age of 13 (with parental consent, of course) however we would just need to skip the tinting stage. Yes. You should be given a patch test to apply at least 48 hours before each and every treatment to minimise any risk of reactions. Many extraneous factors can affect your sensitivity to tint and this is likely to change between each appointment. How many HD Brows treatments do I need to achieve my desired shape? This completely depends on the amount of hair you have to begin with. Your HD Brows stylist will be able to advise how many treatments they recommend to give you the brows you eventually want during your first consultation. Can I get HD Brows at home? HD Brows is not a treatment that can be performed at home. 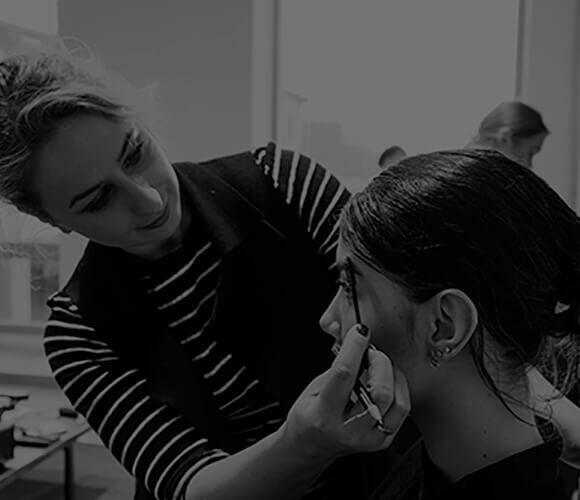 HD Brows stylists are trained to the highest level, therefore the treatment can’t be done by anyone who hasn’t been trained at an official academy. However, you can keep your brows looking fresh between treatments at home by using the HD Brows make up range. What’s the difference between a HD Brows stylist and a pro or master stylist? HD Brows stylists have undergone our intensive training to ensure they’re in line with our high quality brow standards. Pros and masters undertake further training to work on advanced hair removal techniques and treatments, such as brow lightening, brow extensions and express.